Vishvet Foundation always give an experience of education, culture and fun in all of our programs. Trekking programs are very special program designed for the people who love adventure, nature and want to meet people who are nature saviors. Trekking in Sikkim is very different from trekking in any other part of the Indian Himalayas. The mountains, the trails, the people and the culture is in such sharp contrast to the rest of the country that for any trekker the Goechala trail is a must-do. 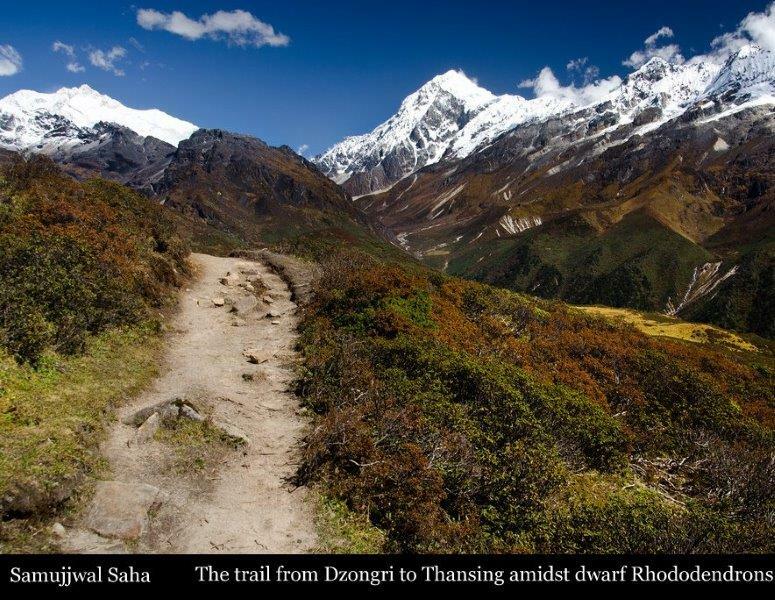 The Goechala trek in Sikkim is also one of the most romantic trails the Indian Himalayas has to offer -- the enchanting walk through the Tshoka Rhododenderon forests, the vast Dzongri and Thansing meadows, the startling blue waters of Samiti lake, the looming presence of Kanchejunga and Pandim, the icy trail to Goechala make lots about the trek very romantic. April last week to June end; Mid September to October end. It is also possible to trek in Nov and Dec but gets dry and very cold. Day: 15° to 25°C. Night: 8° to 15°C. Temp at highest camp, Dzongri: Day 7°C to 15°C. Night: 3° to -2°C. Temperature in Sept and Oct.
Day: 13° to 20°C. Night: 2° to 7°C. Temp at highest camp, Dzongri: Day 3°C to 10°C. Night: 3° to -4°C. Rains start end June until mid September. Approach road landslides/blocks common in late August and early Sep. Usually repaired in a few days. Stretch after view point 1 could be under snow in early May. Eases out by June. Light snow cover in Sep/Oct on the higher reaches. Please find ways to reach to the base camp: How to get to the base camp Yuksom?